Ian Christie, Anniversary Professor of Film and Media History at Birkbeck College, is a distinguished and influential cinema scholar. When Prof. Christie recently interviewed Daniel Pick about popular interest in brainwashing, their conversation quickly became a lively dialogue between two historians on mid-twentieth-century cinema’s fascination with psychoanalysis, mind control, and moral responsibility. Here is the transcript of their conversation. It has been edited and abridged for the web by Marcia Holmes. IC Is it true that we mainly know about brainwashing today because of the movies? DP I think the interaction between the movies and popular journalism comes into this story from the beginning. The idea of brainwashing resonated powerfully in a Cold War political climate and became a staple of press reports and cinema as well as popular fiction. This was an age in which culture, film and indeed certain academic disciplines such as psychology were themselves seen as powerful tools, even weapons. Ideas, it was thought, might be infiltrated, and academic knowledge ‘weaponised’. The Cold War was often cast as a Manichean battle for the mind in which new techniques of ‘hidden persuasion’ would be paramount. IC And when did this specific term become popular? DP An enterprising American journalist, Edward Hunter coined the word ‘brainwashing’ in 1950. He drew upon a Chinese term for brain cleansing and gave it a much more sinister twist: not a cathartic process, but the erasure of the free mind, and its substitution by another, governing will. Brainwashing captured substantial press coverage and other forms of public attention in America during the Korean War, above all in the final chapter when 21 American PoWs opted to stay in Mao’s China rather than return home to the United States. 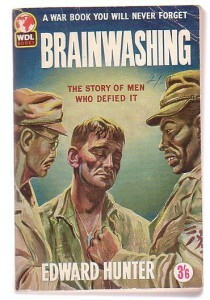 Book cover for 1959 reprint of Edward Hunter, Brainwashing: The Story of Men Who Defied It, originally published in 1956. Hunter first coined ‘brainwashing’ in a September 1950 article for The Miami News. Accusations of ‘brainwashing’ flew all over the place, but often the targets of the diagnosis did not recognise themselves in it. Thus it is worth comparing the shrill commentary that surrounded these cases, well documented by historians, such as Susan Carruthers in her book Cold War Captives: Imprisonment, Escape and Brainwashing (University of California Press, 2009), with the first person accounts given by some of those men, writing about their experiences of war and of captivity, and of the reasons for their post-war choices, for instance as set out by Clarence Adams, in An American Dream: The Life of an African America Soldier and POW Who Spent Twelve Years in Communist China (University of Massachusetts Press 2007). In this feature documentary, They Chose China (2005) Oscar®-nominated filmmaker Shuibo Wang aims his camera at the astonishing story of 21 American soldiers who opted to stay in China after the Korean War ended in 1954. This film has been made publicly available by the National Film Board of Canada. ‘Brainwashing’ may have been debunked but it was also an effective idea, a kind of mirror onto perceived vulnerabilities in American society itself. And it often can be linked with racial, class and gender prejudices too, of course. The idea that soldiers might become malleable, ineffectual, confused, even brainwashed, connoted this perceived domestic vulnerability. It was not just a term applied to America’s military adversaries, those other peoples supposedly more vulnerable to hidden persuasion, living under despotic regimes, but a way of capturing a sense of alarming fragility in ‘us’, or at least in some of ‘us’. So the first context we need to bear in mind in thinking about the take-up of this idea would be the early Cold War, and America’s particular military difficulties in the Korean War. But the fear of brainwashing was also anticipated in earlier debates about the limits of human reason, and the power of one person, or agency, to possess the mind of another person. There was nothing new in 1950, after all, about the fear that hypnosis could subvert the free will both of individuals and crowds. Brainwashing fears in the 1950s were also still infused with ideas from the interwar period, when various theories about the ‘mass psychology of fascism’ were advanced in western thought. Some commentators looked at earlier notorious films such as Leni Riefenstahl’s Triumph of the Will as a record of the power of the charismatic tyrant to brainwash the masses, even to reduce people to virtual automata, and of the power of a propagandistic cinema itself to partake in this process of mind control. IC Is it that a new arsenal of psychological weapons emerges, since the Cold War is seen as a difficult struggle to win by conventional military means? DP I think so. On the one hand there’s the story line, perhaps for some a genuine fear, of communist leaders successfully orchestrating schemes to possess their own populations totally, and to infiltrate and corrode the minds of their enemies. All this was powerfully symbolised by the idea of the American GIs being brainwashed, and, more generally, of POWs as not only captive bodies, but potentially manipulable minds, and experimental guinea pigs. It would be useful to trace, in earlier conflicts too, perhaps back into the nineteenth century, how far such ideas were already apparent. 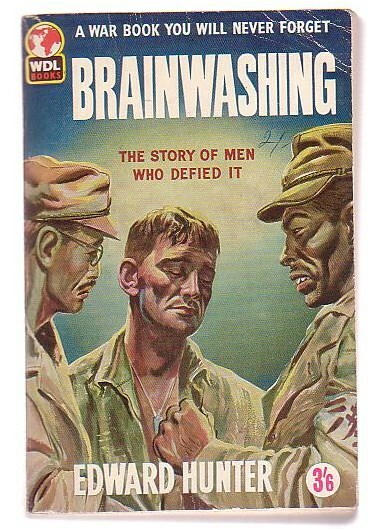 The fear of brainwashing–and most especially the ease which soldiers might be ‘turned’, made to question the rationale for fighting, or identifying with the patriotic cause–leads several commentators to suggest what’s required is a new more sophisticated attempt to strengthen the combatants’ mind against brainwashing, to build a new kind of ‘resilience’ into troops. Hence, in some instances, advice on, or even mock exercises in incarceration: if you were caught, this is what it will be like, and this is how you resist. But if one context of ‘brainwashing’ discourse was defensive–concern with what ‘they’ could do to ‘us’, be it in captivity, or even in our own homes, through print, or across the air waves–another objective was offensive: the aspiration to use new psy techniques in ‘our’ interrogation processes and modes of communication. These techniques were building, for instance, on the various psychological as well as drug experiments that had already been conducted on PoWs during the 1940s, and to refine still further the concerted propaganda and counter-propaganda efforts mounted during the war years. What has also been increasingly researched in recent years, is the once hidden history of psychological experimentation, post-war, in mental hospitals–the effects of sleep-deprivation, for instance, were explored, as were drugs and ECT. Sometimes, of course, these experiments were conducted with therapeutic goals and aspirations however misguided we may now view them to be, but such experiment was also to provide both directly and indirectly a form of knowledge with presumed applications to psy-warfare and to intelligence work. The notorious experiments of psychiatrists in this period, for instance the inquiries of Dr Donald Ewen Cameron at McGill University in Montreal, are now well explored; but he was far from alone. 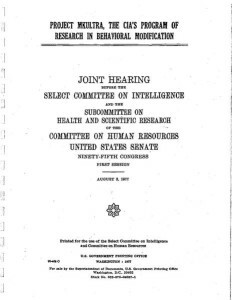 In 1977 the United States Senate heard testimony on the CIA’s program of ‘mind control’ research, known as MKULTRA. 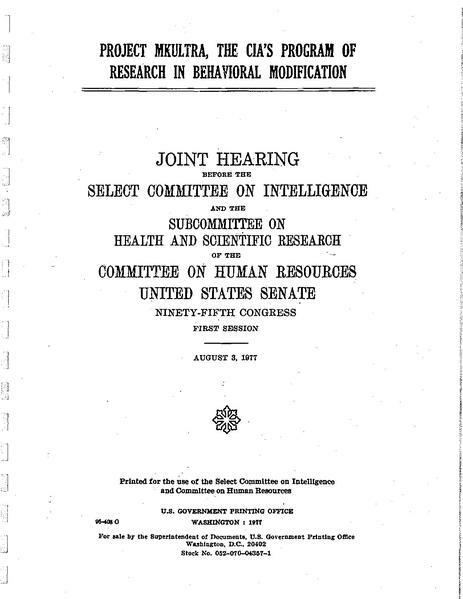 John Marks, a former intelligence analyst, wrote an exposé of MKULTRA in his 1979 book, The Search for the Manchurian Candidate: The CIA and Mind Control. Marks’ title made reference to the brainwashing plot of Richard Condon’s 1958 novel, The Manchurian Candidate, which was made into the famous film of the same name, directed by John Frankenheimer, in 1962. Fictions of mind control took off from rumours and reports of actual human experimentation, on both sides in the Cold War, or perhaps sometimes the stories themselves inspired experimentation within the human sciences. Talk of ‘brainwashing’ or even ‘menticide’ became part of the toxic political climate of the Cold War, a language that also quickly played into what Richard Hofstadter famously called the ‘paranoid style’ in American political thought. 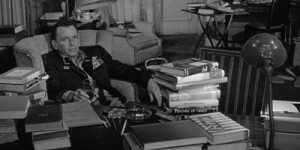 The Manchurian Candidate (1962) was perhaps the most famous cinematic exploration of the theme, at least in Hollywood, but there would be other movies from the 1950s that also play on or perhaps send up the fear of total psychological or even physical invasion of the other, not least of course in The Invasion of the Body Snatchers (1956). 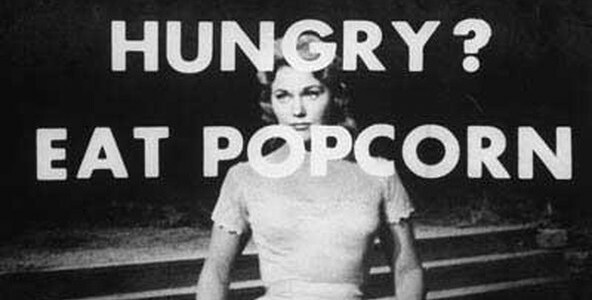 Such films were nicely poised between exercises in, and satires about, 1950s moral panic. It’s worthwhile to consider how far such cinematic tales reflect debates going on in Washington about Soviet, Maoist or other techniques; and, at the same time, how some of these post-war films also signaled their awareness of the experiments conducted by the US and its allies, funded, often enough, by the intelligence services, to seek to produce a more reliable science of interrogation. The most lurid rumours about ‘brainwashing’ seem to be quickly discredited (a critical literature soon challenged that kind of claim). But the looser idea that indoctrination methods were now the stuff of science, just as much as they were the propensity of religion or of cults, never went away. IC But apparently it doesn’t exist in a vacuum, because this is a period of moral panics, about ‘hidden persuaders’ and horror comics, for instance. So it’s like there’s a pervasive sense of ‘things at work on the mind that we don’t understand’, as well as the narrower belief that these are tools of a conspiracy like communism. What you’ve done in your work on the psychological struggle against Nazism is to show there was a lot going on, which was not in the public domain, but was backroom boys, boffins… WW2 had been seen as a ‘clean war’, against a dictator, but we now know it was more complex. And the 50s was seen as a period of renewed struggle. DP Yes, the idea of a Manichean, and global, battle for the mind can be traced over a much longer time frame; certainly within the twentieth century such terms of reference precede the Cold War. This conflict was conceived as a war between ‘civilisation’ and ‘barbarism’. Much commentary in the late nineteenth and early twentieth centuries focused upon the supposedly biologically inherited qualities that constituted individuals, races, or peoples. But there was never a consensus on such matters. At any event, there was a notable shift, after 1945, in mainstream liberal commentary in the western world, away from the idea of generalisable national character, and, all the more, racial character. It became commonplace to focus on what is shared across peoples, a more universal kind of thinking in which democracy might be nurtured anywhere, and, conversely, the authoritarian or fascist ‘type’ is presumed to exist, potentially, in every society–Nazi beliefs as a potential kind of ‘regression’ or atavistic propensity that might be triggered, in certain circumstances. 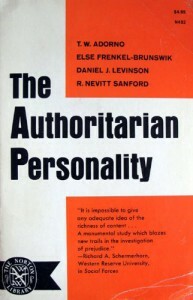 Instead of a simple ‘us’ and ‘them’, several social science surveys of the post-war period explore the spectrum of fascistic attitudes, as for instance in the celebrated ‘F’ Scale developed by Adorno and others in the research for the book The Authoritarian Personality (1950). There were myriad theories, post-war in which politics was considered in terms of health and illness. Nazi psychopathology–the wish to exterminate, to project, to split, to demonise, when overwhelmed by certain kinds of political and psychological experience–was seen as a general, not a geographically or temporally restricted danger. This was the kind of thinking that seemed to inform the work of the Frankfurt School, and notably Adorno et al’s The Authoritarian Personality… Meanwhile various commentators in 1930s and 40s America were also developing theories of the fascism ‘within’–both within the mind, the group and the polity – a constant threat to all democracies. States as well as psyches could be infected, or even wholly overwhelmed with the tides of intolerance and hatred. Philip Roth made this ‘what if’ scenario about the fascist take-over that could easily occur at home famous much later in his novel, The Plot against America, but it’s there in a much earlier story too–Sinclair Lewis’s It Can’t Happen Here (1935). Theodor W. Adorno, Else Frenkel-Brunswik, Daniel J. Levinson, and R. Nevitt Sanford, The Authoritarian Personality, first published in 1950 by Harper & Row. This cover image is from the 1969 Norton Library paperback edition. …Adorno was accused of focussing only on the far right, and not thinking about communism in his famous study. But in much of the psycho-political literature on human suggestion, obedience and brainwashing in this period the backdrop comes to be ‘totalitarianism’, a form of polity, but also, it was argued, a mind-set that could as easily go to one extreme as the other. By contrast, liberalism was all too easily seen as homologous to the sane mind (with internal checks and balances, critical capacity, openness to doubt, etc.). This has been well captured in a recent book by Jamie Cohen-Cole, on how the idea of ‘open mind’ was also in effect mobilised; meanwhile multi-disciplinarity was extolled as an academic ideal, precisely as a counterpoint to the notion of the closed, totalitarian mind, or system. But I’d like to ask you, Ian, at this point where you think cinema picks up that trend before The Manchurian Candidate: how you understand this notion of the clinician and/or demagogue who controls the mind of the other in the early history of cinema? IC Well, cinema is very alert to psychoanalysis from an early stage, and to showing the drives and susceptibilities that potentially lie within all of us. 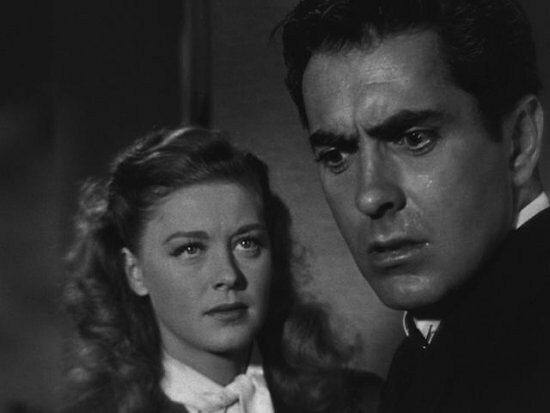 The 1940s is the era of an intensely psychological, even psychoanalytic, cinema in the US. Quite apart from Citizen Kane (1941), which tries to unpick retrospectively the life and mind of a rabble-rousing press baron, the prime example would be Hitchcock’s Spellbound (1945). One aspect of this is as a kind of re-make of Caligari, with the man orchestrating all the confusion finally revealed as the acting director of the clinic. The final shot, as it were, is of his hand holding a gun that he turns round to shoot himself, which also means us, the audience! That’s a very interesting moment in the popular deployment of psychoanalysis–hinting at the question: what’s hidden within us all? There’s also a very interesting film from the late 1940s, Nightmare Alley (Edmund Goulding, 1947), a bleak film noir based on a very dark pulp novel by William Gresham, with a central character who is among other things first accomplice and then victim of a rogue society psychiatrist, who is recording everyone’s sessions. This would come back during the McCarthy period, the fear that people were exposing themselves through the act of seeing an analyst, but it’s already present in the 1940s, although without any overt political dimension. DP I found when I looked at some of the critical commentaries on Freud in Britain in the 1920s the argument that psychoanalysis threatens morality and takes away free will. It may seem to be enhancing the patient’s capacity to think freely, but the fear is that it actually erodes that. This had earlier, in a different way, been an argument used against Darwin, that his theory was immoral, representing people as at the mercy of forces beyond their control, but by virtue of the theory itself, allowing a kind of moral self-exculpation, a denial of personal responsibility. Freud of course wanted the patient to be involved in the exploration with the analyst, in order to make people more mindful of what’s there. But critics feared that it’s always operating through a charismatic relationship, and that’s applied to the therapeutic encounter as it is to politics. IC The theme of the novel I mentioned to you some time ago, Nigel Balchin’s Mine Own Executioner (1947), is the analyst’s moral dilemma, when he ‘unlocks the mind’ of a disturbed ex-POW. What should he do on an everyday practical level, quite apart from what he should do analytically, at this dangerous junction? And in this case he gets it wrong, with catastrophic results. It seems to be further evidence of a widespread 1940s culture of psychoanalysis finding itself put to the test in extreme conditions, many of them created by the war. DP You mentioned Spellbound, and I was intrigued seeing it again recently at the lightly sketched backstory: the ‘spellbound doctor’, played by Gregory Peck, has problems going back to childhood, but he has also been a soldier. A mixture of early history and later violent experience, it seemed, could play terrible havoc with the mind. Another film I’m interested in at the moment is Suddenly (Lewis Allen, 1954), which anticipates The Manchurian Candidate in some respects–at the centre of its plot is the risk of presidential assassination. It also has the backdrop of a soldier who is scarred from childhood, who then fights for the US army in the 1940s, and ends up even more damaged. That sense of the damaged veteran, which becomes even more central in the Vietnam era, is very much part of the culture of the 1940s and 50s too. There was a film by John Huston that sought to lay bare the nature of this psychiatric vulnerability in the troops, Let There Be Light (1946), which was to be effectively sidelined for years, perhaps because it revealed the human frailty of the soldier and showed the enormous psychiatric damage that he could suffer. So the spotlight is put back on our vulnerability, not just the German question, which seems to be something that Hitchcock picks up on in other movies too, like Saboteur (1942) and also Lifeboat (1944), both made during the war, and which in different ways seem to complicate any simple Manichean division between ‘us and ‘them’, or any reassuring assumption of some kind of final moral victory over fascism. IC This is a real preoccupation of Hitchcock’s, refracted through all his fictions of the 1940s. Just think of Rope, where two characters have adopted a Nietzschean position of being ‘beyond morality’ and set out to flaunt it by concealing a murder under everyone’s noses. It’s really a very political film, although it doesn’t have any overt engagement with psychoanalysis, I think it’s deeply informed by Hitchcock’s fascination with it–as indeed is Under Capricorn. In fact, it’s hard to think of any film of Hitchcock’s in the 1940s which isn’t concerned in some way with the ethical implications of psychoanalysis: what’s our moral responsibility if we know the darkest secrets of the mind? DP And you’ve got these twin themes of psychoanalysis and fascism playing out in cinema again and again. Another film from this period that’s striking in this regard is Orson Welles’ The Stranger (1946), where there’s a hidden fascist in a small American town who’s acquired another identity and the film is about his unmasking. Again this was but the tip of the iceberg: all sorts of stories took up the theme of women or men unwittingly marrying someone who turns out to be a closet Nazi or fellow traveller. IC Most of the films we’ve been considering are American, but there is one British film that centres on the ‘experimental’ aspect of brainwashing, The Mind Benders (Basil Dearden, 1963), made in the same year as The Manchurian Candidate. I think I’ve read that the writer, James Kennaway, already knew about North American experiments, which are alluded to in a title at the beginning of the film, before he came to write a script that links sensory deprivation with the capacity to become a traitor, and stirs into this a rather chilling tale of marital alienation. So this is a film that really comes from the late 1950s, and the recurrent phrase used about the scientist who has committed suicide and initiated an investigation is: is he a zombie or a traitor? The whole story turns on this prodigious effort to have him reclassified as a zombie rather than a traitor, even though he’s associated with communists and peace campaigners. Has his morality been stolen from him by his involvement with self-administered experiments? DP What would be valuable as research, if we think about this period, from the inter-war to the post-war, would be to compare and contrast the representation of indoctrination and the vision of the mind in different settings, the kind of psychically conflicted figure who may be a traitor or a kind of zombie figure, that The Mind Benders so strikingly takes up. Film in this period often seems to explore these borderline ambiguous figures, perhaps double or treble agents, people who cross the line from loyalty to treachery, or perhaps back the other way, and we are often left in doubt whose side they are on. But I suspect there would be different working assumptions in different cultures at different periods. In the USA, there would tend to be a vision of mind in the middle decades of the century derived in substantial part from Freud, that is to say assuming hidden depths, repression, the constant workings of the unconscious, the force of guilt and sometimes lacerating reproaches derived from the super-ego, the assumption of an Oedipus complex and so on. Yet in other cinemas at this time the working assumptions might be very different. It would be interesting to know, for instance, how far Pavlovian theories featured in this period, for instance in Soviet cinema at this time. So what I am suggesting is that the frame of reference in thinking about conditioning, or brainwashing, or intra-psychic conflict and the nature of the self might vary quite a bit even in this same time frame, depending on which national culture we are looking at. IC There’s obviously a general surge of interest in psychiatry during the 19th century, largely located in Europe. But in the 20th century, the focus switches to America, which was almost invaded by psychoanalysis from the 1930s onwards, when it becomes absolutely central to American culture in a way that never really happened in Europe. Psychoanalysis actually made quite slow and uneven progress in Europe, even in France, which enabled a figure like Lacan to have such a wide impact in the 50s, after his less familiar interwar Surrealist period. But in America, a popularised psychoanalysis became how large numbers of people actually understood themselves. This excerpt of an interview with Alfred Hitchcock, about his work with Dali on Spellbound, has been made publicly accessible by Open Culture. Salvador Dali, who made the cover of Time magazine in 1936, was a surrealist, but came with a lot of Freudian baggage. And this may have been part of the reason why Hitchcock was so determined to have him work on Spellbound. As we’ve observed, Hitchcock had become fascinated by psychoanalytic culture, but we don’t know whether he did so in a sceptical (cynical?) way, just observing its popularity. DP Or a playful way? IC Certainly playful, but perhaps deeper than that. No-one really knows much about Hitchcock’s inner motivation, because he was very successful in hiding that, but if we see the amount of effort and ingenuity that he put into exploring different registers of psychoanalytic culture in America, it was clearly important to him. DP One of the themes that links with brainwashing is ‘momism’. Certainly there is much discussion, both positive and negative about the importance of mothering and this is powerfully evident in cinema of course: As to ‘momism’, the fear that mothers might overwhelm or even destroy their children through an over-intense bond, perhaps you get in its most psychotic form in Hitchcock, especially in Psycho. There’s not a father in sight there, but that ferocious murderous mother in the mind pervades the film: perhaps this could be seen as Hitchcock’s oblique reference to the sadistic and terrifying archaic maternal superego locked ‘upstairs’. The idea of the demonic mother also seems to be a recurrent motif in other movies of the 50s and 60s; certainly we often find a link with damaged, or missing fathers too, but what comes to be represented centre stage as well is the emergence of an over-powerful and sometimes quite murderous mother-son relationship. In some ways ‘momism’ seems to have been a backlash against the kind of psychoanalytic and psychotherapeutic literature of the period that laid so much emphasis on the crucial importance of good mothering. In some ways there had indeed been a notable shift in the focus of psychoanalytic theory, this growing focus upon the mother-baby relationship, in Melanie Klein for instance. In the US, think of the significance of the maternal role set out in the advice manuals produced by the famous Dr Spock. But this also leads, again, to a variety of critical reflections and counter-arguments–the fear of the ‘mother’s boy’, who is brainwashed or morally perverted, or both. Sexual ‘confusions’, or diagnoses of homosexuality, were often laid largely even exclusively at the mother’s door, as for example in the film Suddenly Last Summer (1950), in which Katherine Hepburn plays a kind of dominating and self-deceiving mother from hell. The period that sees women claiming new rights, or a new social and economic role is peppered with fears that mothers are taking over. All of this captured in a marvellously over the top performance by Angela Lansbury as the nightmare matriarch, caught up in a bizarre incestuous relationship with her son, and who reduces this castrated figure to a virtual automaton (even more effectively than do the Chinese brainwashers) in The Manchurian Candidate: indeed the two themes of emasculation and of political indoctrination were seen as closely connected. Many movies in this genre seem to be about the vexed relationship of the sexes and the problems of post-war family structure. You get it too in the warnings of the Frankfurt School–an anxiety that there’s no longer a proper father role, and the argument that this loss of paternal authority will lead people into the attractions of advertising or fascism, ersatz versions of the father, not to real emancipation. IC You must have looked into the origins of ‘momism’ as a popular fear. I don’t know, but it seems to me the other face of anxiety about the absent father, the crumbling of paternal authority–simply the father who is not there, leaving the mother to assert her will over the child and eventually the adult. And it seems to be distinctively American? I can’t think of any other post-WW2 culture where there is such a fear of ‘momism’. DP: It becomes a fear and then a satirised analysis of the fear, with The Manchurian Candidate both portraying and sending up the fear. Despite the great blown-up images of Stalin and Mao, it’s as much a satire about McCarthyite America and what’s going on at home I agree, it does seem to be a particularly prominent feature of American culture and thought. And the other movie I mentioned earlier, with Sinatra, Suddenly, also had taken up this theme. There’s a war-widow who’s over-protective of her son and won’t allow him to play with guns. And then there’s the sheriff in the town who’s wooing her, but unsuccessfully. He tells her in no uncertain terms that she’s fatally damaging her son by protecting him from guns: the boy, it is argued, needs to learn about the violence in the world in order to resist it. And then there’s a war-damaged vet, played by Sinatra, who is all too cavalier about guns: it’s about the processing of the generation of war-damaged veterans who come back and the actual dead, and the damaged sons of post-war America. But what’s intriguing is that all of this comes in the aftermath of those psychiatric diagnoses of Germany that had gained such traction at the end of the war, both in the United States and in the United Kingdom in which fascism is seen to be bound up with the monstrously over-valued authoritarian and sadistic fathers. Whereas in America in the 1950s, often enough the emphasis falls upon the over-valued mother. Not long afterwards comes a feminist literature (Betty Freidan’s The Feminine Mystique a case in point) in which the woman and the mother are understood as the brainwash victims, par excellence, rather than the brainwash instigator, as in The Manchurian Candidate. IC Fascinating. And of course the rest of us become the more or less passive, or puzzled audiences as these things are played out in popular culture. Hollywood has become the centre of the world’s entertainment industry, and it’s spitting out all these extraordinary paranoid fictions, which we are lapping up, although not sharing that culture, yet somehow understanding what they’re showing us. So we become the secondary audience, while not really experiencing any of these concerns at first hand. DP Yes, and the fascination with surveillance and doubleness has always been part of the Cold War context so many of us rather actively enjoy,for instance, the spy story set in the ever more powerful security state that emerges post-war in America, and beyond, with vast expenditure on a permanent apparatus of intelligence and military planning and infrastructure on permanent readiness. Cinema and literature have provided endless resources to explore and even just savour this vision of existential struggle with, or impotence in the face of, a permanent, shadowy invisible world of government. So our required perception at the movies, is often based upon this idea of a radical disjunction not only between conscious and unconscious mind, but also between the fictions or ‘decorative’ layers of government, and the deeper, more powerful, sometimes all powerful sub-structure – so on the one side the democratic face of visible government in the west, but elsewhere, in that vast metonymic figure we call ‘the CIA’, the secret sphere, an accredited but also disavowed constant authority that we sanction because of our wish for security, and yet we also know may also end up fatally eroding our freedom. This constant play off between the idea of freedom and security is taken up over and over in Cold War movies. The one plot line concerns an ‘us’ and ‘them’ based on polities (the Chinese, Nazi Germans, or Russians as the ‘them’); but the other ‘them’ is this secret state of breakdown, perversion, or identification with the aggressor, within ‘us’. IC Which also becomes the new domain of popular television in the 1960s, with the proliferation of series which become its mainstay, many of which centre on alternative structures of surveillance and control, which play upon our anxieties about world conspiracies, and form a shadowy state within our own shores? And yet of course the conspiracies are invented to justify the perpetuation of such shadowy organisations, as if we want or need them. DP Exactly. And going back to the 50s, the brainwashing scare is also very useful, because it helps justify having a massive security apparatus too, even as ‘brainwashing’ can also be turned into a weapon of critique against our overweening secret state, or fictions of democracy and freedom. 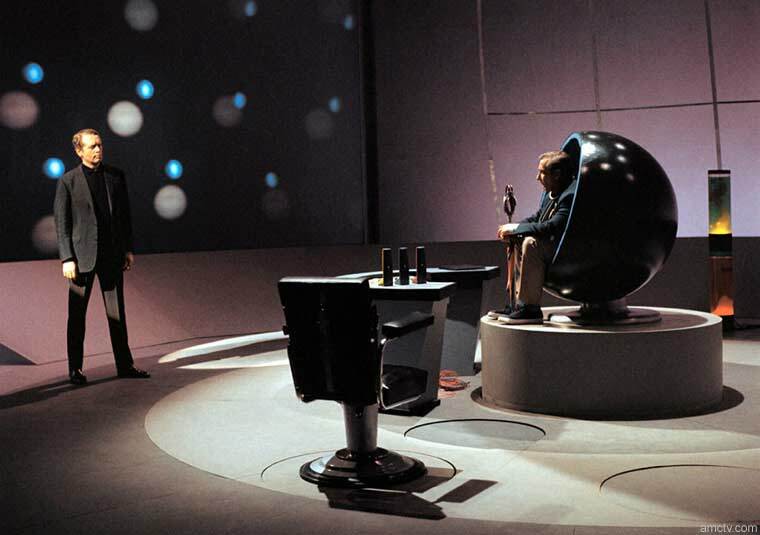 And it does become a feature of television fiction: that vision of total control, in a series like The Prisoner later on. The Prisoner was a British television series of 17 episodes that ran during 1967-68, and has since acquired cult status. Conceived by and starring Patrick McGoohan, it has been aptly described as combining ‘spy fiction with elements of science fiction, allegory, and psychological drama’. IC I think one of the things you might consider looking at is the extent to which this appears in all the popular series – The Avengers, Mission Impossible, The Invaders, The Prisoner, even Dr Who. It’s astonishing just how much of the popular imagination these are taking up, and of course they’re not seen as remotely threatening, but as playful, even though they present a view of the world that is entirely governed by unseen forces. DP It would be useful to think as well about how earlier fictions and myths come to be revisited, or reconfigured, in Cold War culture in new stories, images, and of course ever more influentially on film and television. Some of the iconic works of modernist literature gain a new purchase perhaps here. I was thinking for instance of Kafka. But one thing that strikes me about the television series that you mention is the question of how far television itself, or at least certain kinds of passive and excessive spectatorship, sitting in front of ‘the box’, may be cast as an object of concern in such stories. Popular films like The Manchurian Candidate sometimes seem to take up this rather arch relationship to the apparatus of the film, showing us the camera, or ‘the box’ or ‘the screen’ within their own frame. Perhaps there is a reference here to the way high modernism carries over into such stories, to be found, as in those very fleeting images, so easy to miss, in which the camera pans over various novels, that sit on the bed, including, if I recall right, works by Joyce and Kafka, just before the famous dream sequence, where Sinatra (Major Marco) revisits the horrors of the brainwashing he has been subjected to, early in The Manchurian Candidate. But what I was trying to get at was how some of these Cold War films and television explorations of totalitarian thought control also reference the dangers of their own forms, as potential exercises in mind control. If you think of The Manchurian Candidate, this actually includes television as part of the apparatus that the McCarthyite politician is able to exploit, a picture of everyone now hooked on television, and you can sell anything. It’s even more strongly flagged in Condon’s novel that preceded the movie. Vance Packard in The Hidden Persuaders in 1957 famously points to the power of a kind of perpetual commercial or political brainwashing in the West, in which the image, even the much vaunted subliminal image that passes as message faster than you can constantly register exists, and he also dwells on the power of advertising, which provides a constant and ever more sophisticated bombardment. IC The old fear of the subliminal, especially subliminal advertising, which is very much an anxiety of that period. DP What’s also intriguing here is the idea of being totally possessed by images or sounds from outside that evade or bypass your consciousness, but might be being quite consciously controlled by someone or something else (back to the theme of paranoia again). The brainwashing story of course is all about our subjection to infiltrated messages. What is so powerful in this branch of the brainwashing literature is how it captures something of our most paranoid anxieties and gives them a certain legitimacy: something is being ‘put into me’, and I’m defenceless to stop it. But I think there’s also a post-war literature that’s more subtle than that, which explores the capacity to know and not know at the same time, about the way we’re being duped or taken over, but more willingly, compliantly, lazily, or pleasurably succumb. At the one end of the spectrum there are the tales of complete and utter takeover, in a world of the living dead, populated by mere simulacra of people, now possessed (the terrain of the Invasion of the Body Snatchers). But what about knowing and not knowing what ‘I’ may be doing all at once, the figure who is both victim and agent, patient and analyst, criminal and commentator on the criminality and the pathology; the ‘I’ who is ‘blindly’ enacting, even whilst knowing, somewhere, that this is what ‘I’ am doing? Perhaps this is the terrain of the film Peeping Tom (Michael Powell, 1960) which, amongst the many things that film suggests, draws the idea of the damaged child, and the murderer who identifies with the aggressor together, whilst also making an argument about the dangers of cinema and voyeuristic looking too, putting the spectator of the film in a constantly unsettling place. This state of knowing and not knowing at the same time was identified by Adorno in an essay on fascist propaganda and psychoanalysis, written in 1951, where he looks back at what’s happened in Germany; and he’s thinking of Freud’s essay on group psychology. He says that if people thought about it for a moment, even the most zealous Nazi would realise that it was all a sham. They didn’t really believe it, but there was a kind of suspended disbelief, something more complex going on than brainwashing as commonly understood–willing yourself not to know, holding yourself actively in a state of stupefaction even as you somewhere know you don’t believe in the cause that your stupefied self endorses. As though if you did admit to knowing, then your whole ideological or perhaps even psychological edifice would collapse. So at some level you choose to go along with the madness of the ideology, yet know it’s not plausible. This is different to the notion of the zombie or the automaton, or even of the frenzied masses completely taken over by a hysterical infatuation. No, Adorno says, everyone knew, yet everyone didn’t know. And I think that relates to cinema: we know about the apparatus, and yet we get into a state that’s almost dream-like too, not ‘hypnotism’ but some kind of complex internal bargain with myself, to be enthralled by the screen. IC I wonder if there’s a parallel to that in the literature of ex- or post-communism. We can think of Koestler, for instance, but I wonder how much of what must be a considerable amount of material has been compiled or translated? Or is it that it’s just too painful, as with Costa-Gavras’s least-often revived film, The Confession (L’aveu, 1970), about the torture of a Czech communist at the behest of his former comrades? DP I haven’t seen that movie by Costa-Gavras, so will have to add it to my list. But your reference to Koestler is also very suggestive here. I recently re-read Darkness at Noon, and he’s good on the contortions of logic, and of twisted interpersonal and intrapsychic storytelling in the process of interrogation and persuasion. Lurking behind it of course were the Moscow Show Trials and the question of what means had been used to secure these confessions. It’s interesting how often this larger story about brainwashing, communism, the West, double speak, mind control, etc., is telescoped into just two people in a room; the same goes for a passage in George Orwell’s Nineteen Eighty-Four that describes a very personal encounter, a couple locked in a room but in very unequal situations from each other. The writing dwells on how the most intimate forms of mind control are secured. The scenes in Darkness at Noon, it seems to me, evoke something both terrifyingly impersonal and very intimate all at once. IC Hence, no doubt, your particular fascination with and insight into it, as a practicing analyst who is also an historian.